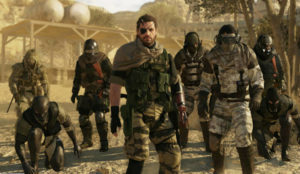 A blockbuster year for video games, 2015 saw the return of some much anticipated series and innovative takes on old-style gameplay. Whether you’re a gamer aficionado looking to fill in the last few slots of your game collection or someone trying to figure out what the gamer in your life needs, here’s CM’s top 10 video games of 2015. Until Dawn is a great descent into the core qualities of the horror genre as its story deeply involves the decisions made by the player. Follow the shocking and deadly night undergone by a group of amazingly realized young adults as they attempt to survive in a forlorn cabin plagued by an unsettling past event. While the game features some wonky camera angles and a few over-the-top horror situations, these are mere nitpicks compared to its intent on revolutionizing video game mechanics. Until Dawn’s replay value is immense as created by its incredible butterfly effect system, and the overall game far surpasses initial expectations. Delve into the Call of Duty franchise’s newest addition featuring a futuristic military environment along with its signature spot-on shooting mechanics. With flashy new roles in a co-op campaign and a fun new Cthulhu-esque take on Treyarch’s signature Zombie mode, the game deems worthy contribution to any gamer’s collection, especially for those looking for some old-fashioned fun. 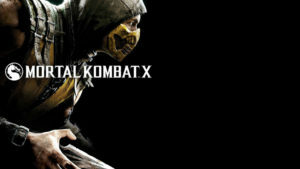 Fatalities return once more with Mortal Kombat X, a continuation of the new universe of the Mortal Kombat tournaments reimagined in the previous reboot, Mortal Kombat (2011). 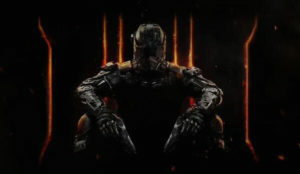 The game contains many game modes to enjoy bloody carnage including Story, online ranked matches, King of the Hill, Survivor, Test Your Luck and Living Towers. Join your favorite faction and battle against the world in the persistent online cross-platform competition known as Faction Wars, and take your kombat skills to new heights. “You’re a kid now! 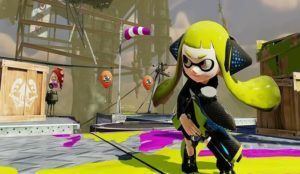 You’re a squid now!” One of the most anticipated games of 2015, Nintendo’s Splatoon beat out Call of Duty: Black Ops III, Halo 5: Guardians and Star Wars Battlefront to receive Best Shooter from the Game Awards 2015. Incredibly bright and visually appealing with a multiplayer mode that’s barrels of fun, Splatoon is a great way to get the family involved in some exciting, inky turf wars. 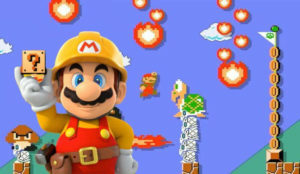 Continuing with the family fun night theme, Super Mario Maker for the Wii U allows the whole family to test their creativity and video game design skills. Create worlds reminiscent of your favorite Mario games or try to drive your friends crazy with nearly impossible levels to beat. Don’t forget to share your levels with the world and check out top-ranked ones. 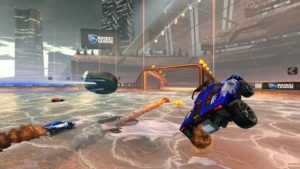 Named the Best Independent Game by the Game Awards 2015 and with over eight million downloads, Rocket League is the indie game that shocked people the most this year. While the concept of using rocket-powered cars to hit balls in a game similar to soccer seems like a simple idea at first, this game is anything but. Highly addictive, Rocket League is a great game for goofing off with your friends or attempting to understand the meta-game of its rocket-powered physics. 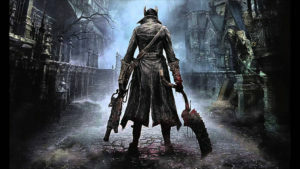 A classic action RPG with the difficulty turned up to max, Bloodborne is a welcome addition to the likes of its hair-pulling FromSoftware predecessors, Dark Souls and Demon Souls. With brutal gameplay mechanics that focus on dodging and speed (rather than defense like the Souls games), Bloodborne is a gothic tour de force that really tests your gamer skills. So turn the lights low and join in the Hunt; just be prepared to put your patience on the line as you get drawn into the unfathomably dark world of Yharnam. One of Bethesda Game Studios’s best kept secrets, the next installment of the famous Fallout series was one of the most surprising releases of the year. With the masterful RPG mechanics that Bethesda is known for, you play as the Sole Survivor as he emerges from Vault 111 and searches the ruins of Boston for his lost family. 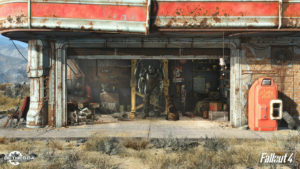 Fallout 4 is a welcome addition to the post-apocalyptic world Fallout fans have come to know and love, and the improvement on older systems and the overall atmosphere received positive feedback. Our number 1 game sweeps the board by winning Game of the Year awards from the Golden Joystick Awards, the Global Game Awards and the Game Awards 2015. 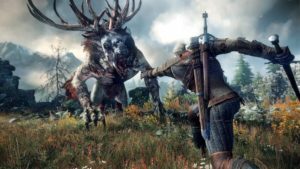 Geralt of Rivia continues his journey as he strikes down even more demons and creatures amidst the overall political drama that uncontrollably unfolds in his world. The game is more than 30 times larger than the previous Witcher games and balances plot, gameplay and systems in a way that only a meticulously well-crafted RPG could. Make room on your top shelf for this baby.